But back in the good old days, those raised hairs allowed us to trap a layer of air, insulating us from the cold. We learned this in our science class last year. The author means by "run or 'bring it' means that if a predator sees another animal and the animal that is being hunted makes it self look bigger and more intimedating and it either makes the hunter attack or run off on its own. The author means by "run or 'bring it' is that the hair-raising on us made us bigger to our predators so that we could run away or fight against them. This article was interesting to me because I have goosebumps on my arms. The author means that your hair sticking up will give you time to either run away or prepare to fight whatever is scaring you. This article was interesting to me because I never new why we got goosebumps. This article definitely grabbed my attention, being that I've always wondered why we get those annoying bumps on our skin. I'm very glad that I now know why! The author is explaining how getting hairs on your legs when having goosebumps, could be a benefit for looking more bigger to predators. What the aurthor means by "run" or "bring it" is that the hairs you have and when you have goosebumps are making you look bigger. As it had said before is that "the hair raising also had the benifit of making us look bigfer to preditors, giving us a fraction of time to eitherrun or "bring it". The article was realky interesting because i did not know that back in the old n days the hairs allowed us to trap a layer of air, insulting us from the cold. The article did and did not surprise me because i knew some things but it di cause i also did not everything that happened. I really enjoyed this article. 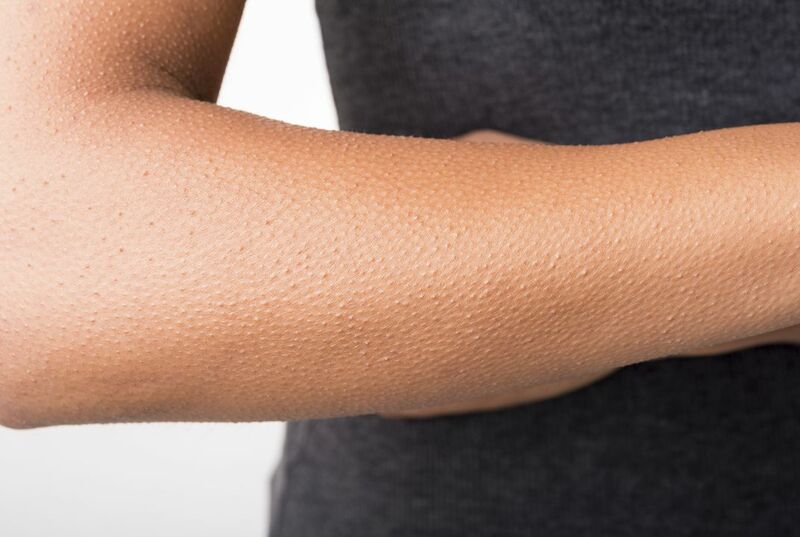 Goosebumps are a type of bumps that you get when it gets cold. The author means that when you get goosebumps the hairs stick up which makes you look bigger so that will make the animal hesitate for a second which would either let you run or let you fight with the animal. This is a good article because I didn't know why we did that and i have always wondered why. I almost got goosebumps watching this.